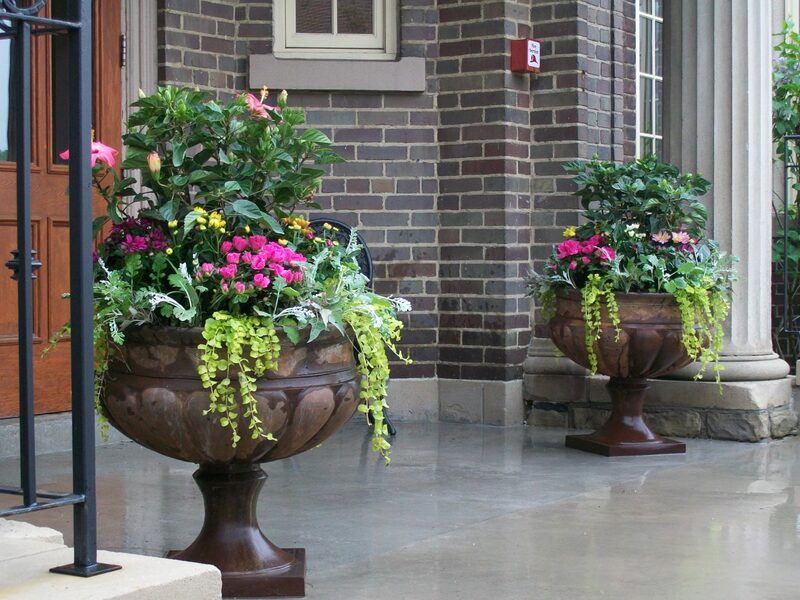 Landcare designs and installs seasonal urns (also referred to as containers or planters) and annual landscaping beautify your property and complement your existing planting scheme. 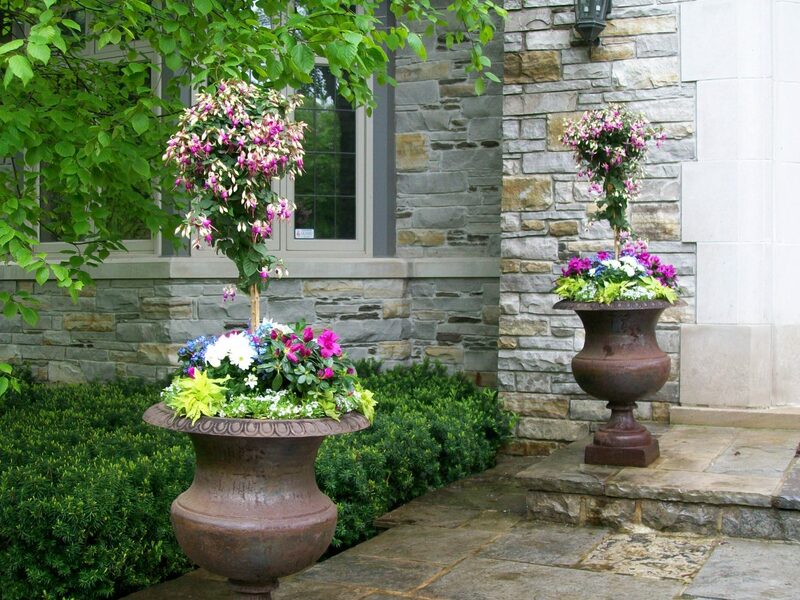 We will help select and purchase urns and can design garden beds where none exists. 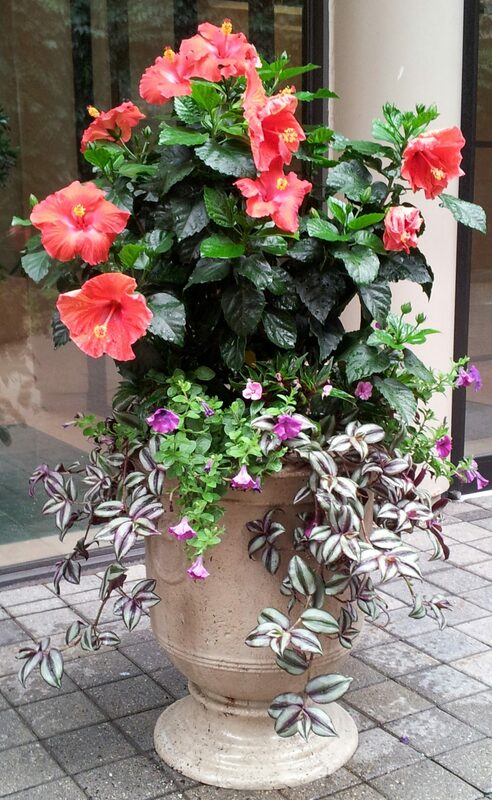 We will also evaluate soil conditions before planting to ensure arrangements will get the necessary nutrients from the soil to grow lush and beautiful. We even offer fertilization programs to promote growth. 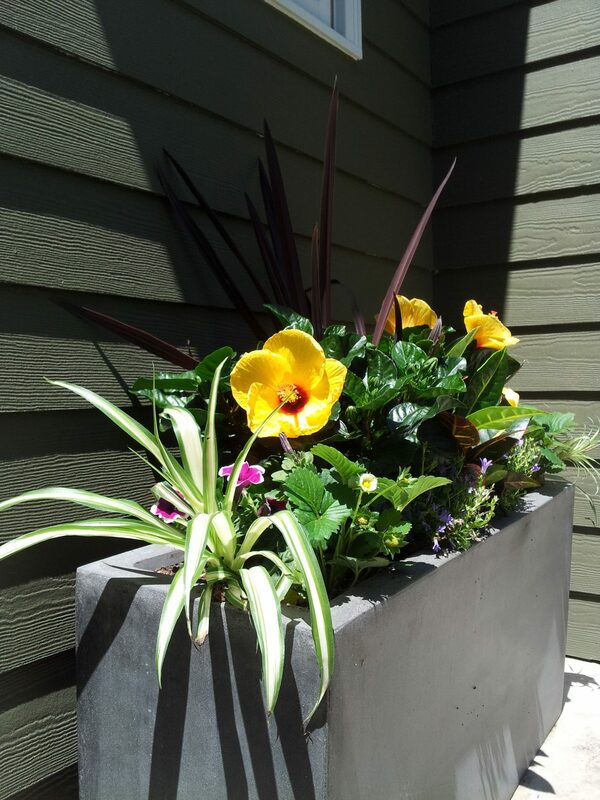 Planting seasonally, in garden beds and containers, is an easy and relatively inexpensive step towards beautifying your property. 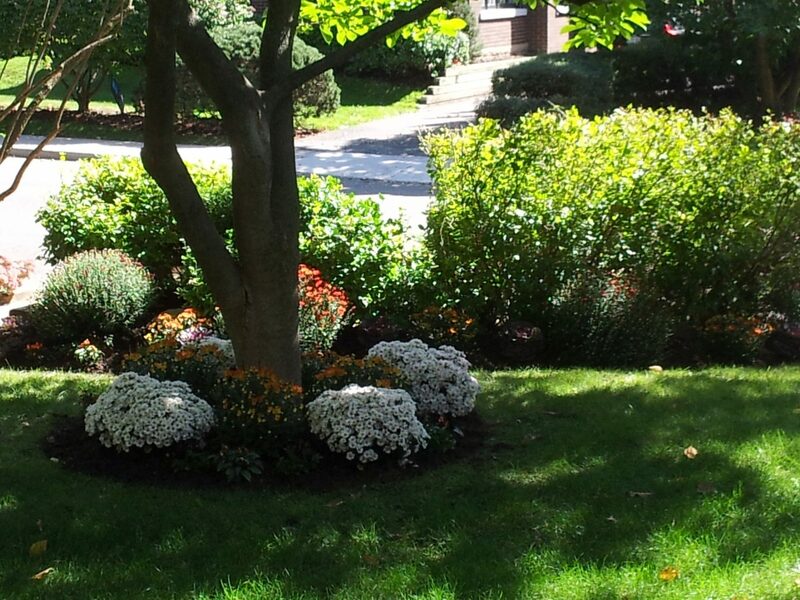 There are many reasons to beautify a property. 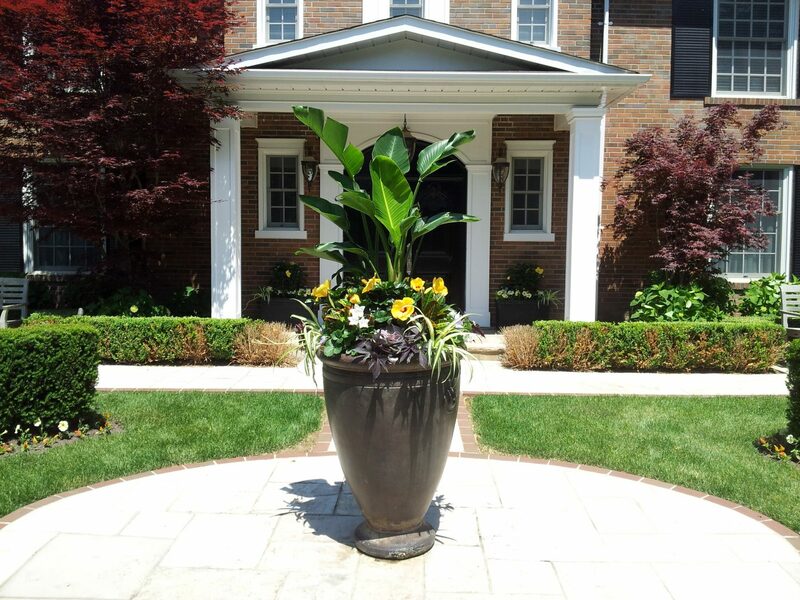 Creating a powerful first impression outside the building may increase sales or rental potential. Beautifying the exterior can increase pride in the building for existing residence and create a sense of home where one may not exist. Carrying a colour palate or feeling from the public areas inside the building to the public areas outside the building can draw in visitors and residents alike by creating continuity in these areas. 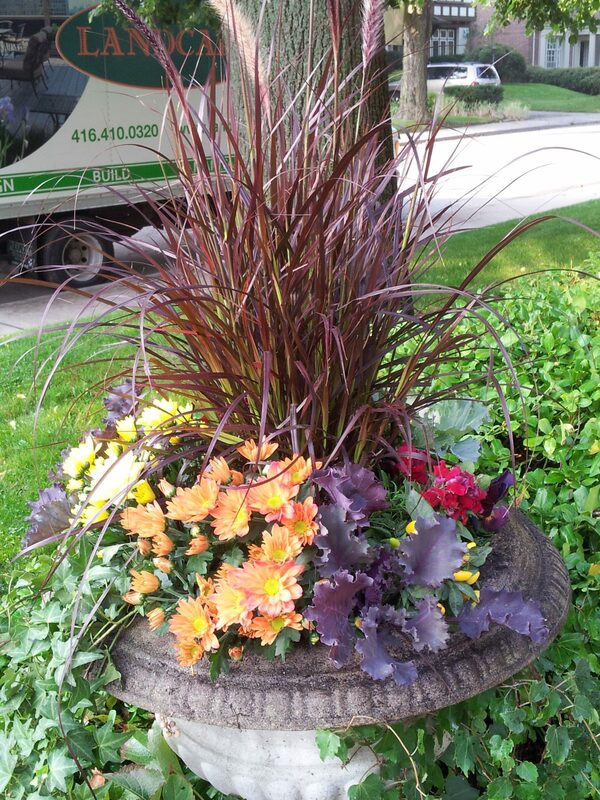 Landcare’s designers create urn arrangements and annual planting schemes that deliver the effect you are looking for. We will even help select and purchase urns for you. 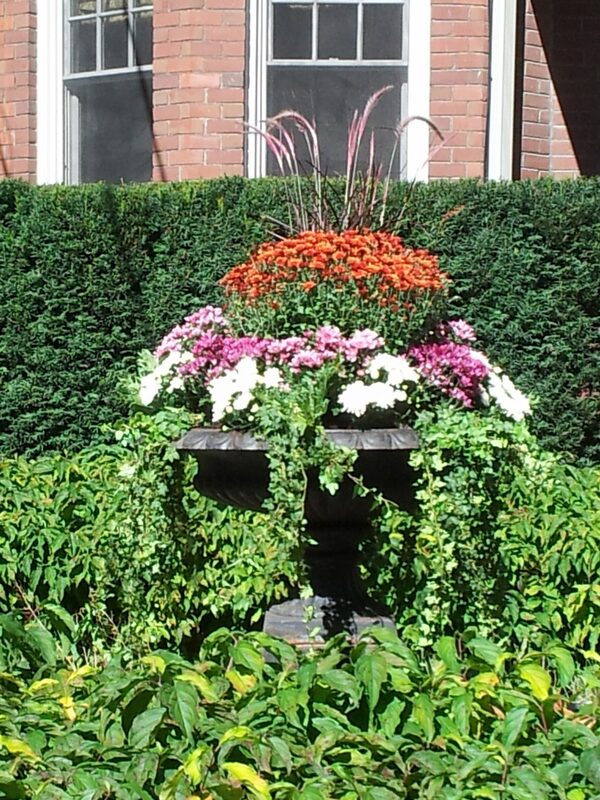 Landcare’s design professionals will work with you to create beautiful seasonal planting arrangements for your garden party, whether it is a wedding, graduation party, or other outdoor social event. 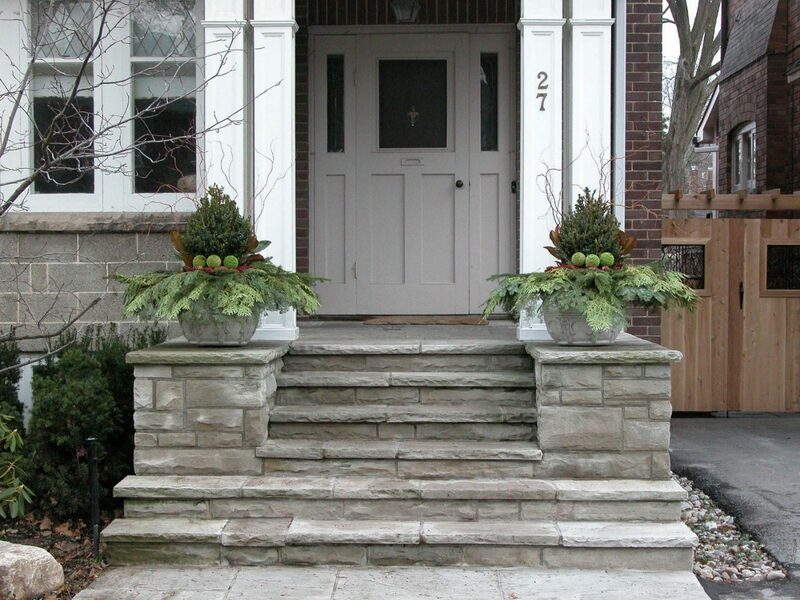 If you are looking to increase your property’s curb appeal by adding accent urns at your front door or colourful annuals to your gardens, Landcare’s design team can do this too.